People love money. This is a fact. If you are here, looking through this category, then you do too. We are proud to present our dollar sign wall art category, where you can find the finest prints that feature the dollar sign. 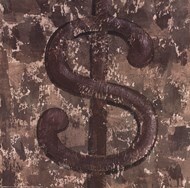 Dollar sign wall art prints make the best addition to interiors with modern trends. 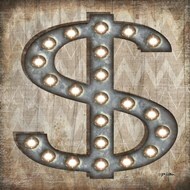 If you are into pop-art and pinup, you will love our dollar sign wall art prints. Probably, depending on your own preferences, you will want to place a dollar sign wall art print either in your living room, hallway, or bedroom. It’s probably not such a good idea to hang a dollar sign wall art print in a children’s room or kitchen – simply not an appropriate type for these two. But, it all depends on the way you see your home and what you like. 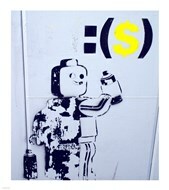 You may also want to hang one of our dollar sign wall art prints in your office or bar, if you own one. These prints will remind of success and that money are important today, especially the American dollar. 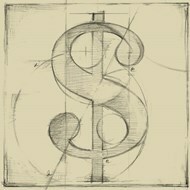 Check out our dollar sign wall art gallery and find the print that you like the most. Now, our online gallery is known for impeccable service and top-quality products. In other words, if you are ordering a dollar sign wall art print, you are getting the best service and product possible. We are proud to be who we are – the gallery that we are. Along with the great prices you can see throughout our online gallery, we also provide fast shipping, proper printing, and good handling.